“We can supply a flooring and wall protection solution as well as fully trained and experienced site operatives who understand the needs of measured terms contractors and the strict limitations imposed by the NHS”. John Morrison, Aberdeen Branch Manager, Veitchi (Scotland). The healthcare market, particularly public hospitals, not only have specific needs in terms of hygiene, maintenance and resistance to wear and tear but also have complicated and stringent procurement policies in terms of approved contractors and tendering procedures and policies. The SPM product range embraces protective and ergonomic decorative panels, wall protection, hand rails and door and corner protection, providing solutions where safety, hygiene, easy maintenance, noise management and aesthetics are paramount. Veitchi (Scotland) Ltd, already a key client of Gerflor, was established in 1917 and is the largest construction industry subcontractor in Scotland. With a group turnover of £44m, the strength of the Group lies in its diversity and in-depth application knowledge. Veitchi (Scotland) Ltd have now become the preferred partner in taking SPM wall protection, hand rails and hygienic cladding solutions direct to the Scottish Healthcare Market. Already a recognised healthcare contractor with a framework agreement with Grampian NHS Trust, Veitchi (Scotland) Ltd now have the supply chain and support network (with offices in Aberdeen, Edinburgh and Glasgow), to take a total healthcare solution of flooring and wall protection to the whole of the Scottish NHS Trust. Organisations with framework solutions offer their public sector partners EU compliant frameworks which the public sector can use to procure products and services, without the expensive and time consuming tendering process. 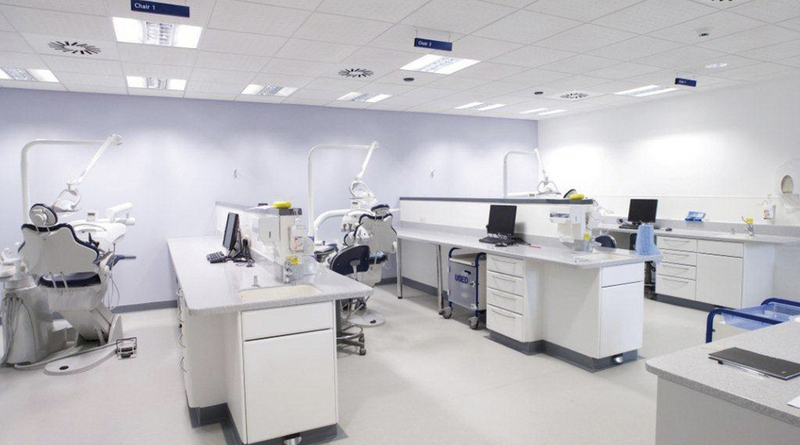 Gerflor and its partners understand the benefits these agreements offer the healthcare sector. Equally important, the company has never had a more comprehensive product range or been better placed to work with designers, specifiers and estate managers alike to ensure that the best ‘value for money’ option is available, whilst also maintaining the highest levels of quality, innovation and design.